After a non-winter last year, Thanksgiving was unusual on the weather front. It was a warm, sunny day that evolved into an evening winter storm. The night wind and snow blew across the big lake, and all night the waves pounded our rock cliff. Friday morning 4 inches of snow covered everything. The snowy landscape was beautiful and quite a surprise. 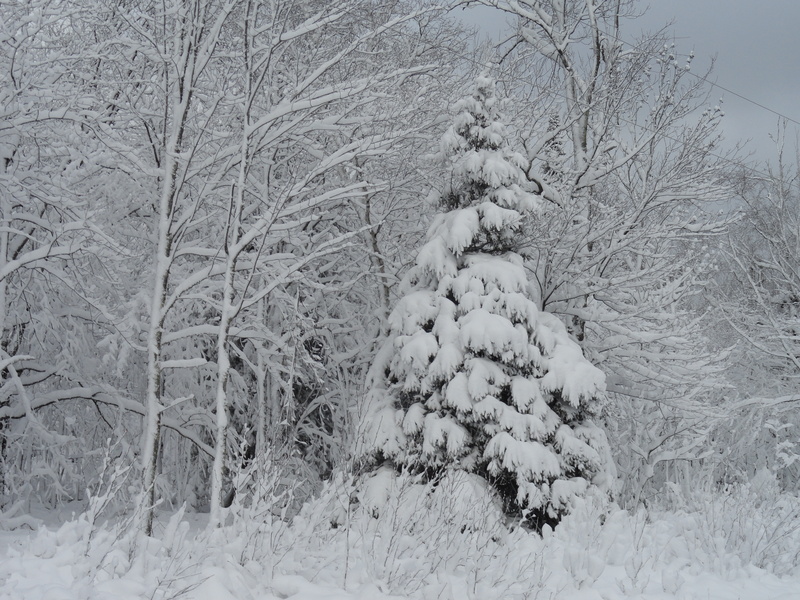 In a few hours time lake effect flurries became the norm, and winter began. And 5 days later it continues to snow. Not bothered by the weather change, chickadees, a nuthatch and common red pole are busy at their feeder. Downy woodpeckers are everywhere and the eagles and seagulls fish the lake. These are our local winter birds. Most plants and seed heads are now covered with snow but the stately little blue stem still stands proud and is unaffected by the severe weather change. From land you can observe the silhouettes of enormous waves surging far out in the big lake. The firearm deer season ended on Sunday and maybe some of the wildlife will come out of their hiding spots to explore this new snow covered land. This week we enter the biggest shopping time of the year. Questions we should ask ourselves are: How can we keep dollars in our own communities? What purchasing choices are the best for the health of our families, friends and our planet? Every holiday season I start with a goal of purchasing USA/Minnesota made products and putting my dollars into companies that match my values for fair wages and good working conditions. 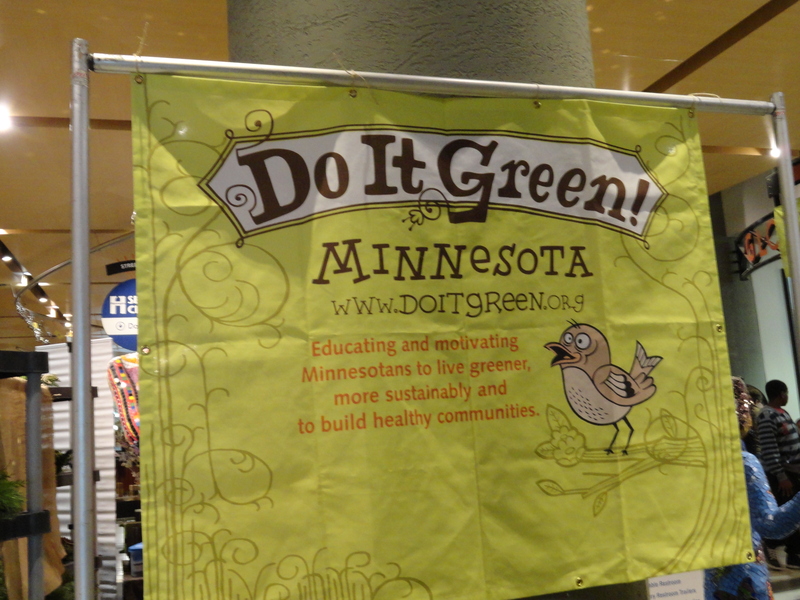 This week I was thrilled at how much local produce I could find at my local coop, and shopped a local craft fair where I purchased items made from recycled and upcycled Minnesota/USA products which put me on track to reach my “Buy local” goals. 1. Always read all product labels and become aware of where your purchases are coming from. Ask if they are not labeled. It must say “made” not distributed by! 2. Shop craft fairs and your local stores. Let businesses know you are looking for products made in this country or state, and demand they offer you choices. At our house we do not shop “Big Box” and try to patronize businesses that pay a living wage. 3. Shop your own home. What do you have that you can reuse? Remember grandma, and how she did things. Reuse, Reuse Reuse and Reduce-Cut back on the new items and use items in the back of your closet. We know this congress won’t take on climate change so each of us needs to take personal action instead of blaming a disfunctional political body. Our own health and safety as well as the health of our earth depends on it. The election is over and repairing and cleaning from Hurricane Sandy is moving along even though not as fast as some wish. Scientists agree our earth is heating up. We can’t stop mega storms from happening, but maybe simple things we do can lessen the intensity. What lessons can we learn, and how can each of us make a smaller footprint? Today as I was taking the bus into downtown Minneapolis my thoughts turned to how dependent we are on our cars, and the irony of New York City’s Sandy when many in NYC don’t even own cars. They live the epitome of a “public transportation life.” Just imagine, If each of us in solidarity with New York City eliminated one personal car use this week, or consolidated several car trips, what a big difference for our environment with little effort on our part. Begin a reduction diet from auto emissions. Walk, car pool, bike or take the bus for one or more trips this week, change the status quo, have more fun, and get some exercise, also! My thoughts are with those trying to recover from the terrible devastation of Hurricane Sandy, the worst storm ever experienced by New Jersey. Meteorologists say this is the new normal? This year in Minnesota areas have had 10 inch rainfalls surrounded by serious drought. Tuesday’s vote is an important vote for our earth. Are we heading backward to deny that climate change exists or will we move forward actions that help our air, water, wildlife, and our own health? President Obama has taken historic action to protect our environment: Such as fuel efficiency standards, increased clean energy, worked with the international community, and he believes in the EPA and FEMA! Some candidates sound like business can do no wrong. I am sorry business does need regulation. Just observe the recent meningitis crisis, the hazardous waste dumps and the damage fracking is bringing. Studies show the public thinks that business and environmental standards can work together. Please remember our earth when you cast all your votes on Tuesday. A confetti of colored leaves covers the ground, and a few brilliant gold leaves cling to their trees, but they are falling. Daily a vole works her way around these fallen colorful leaves. Pileated and downy woodpeckers, are busy finding bugs, and the chickadees, gold and purple finch create an active bird feeder. Palm warblers and Juncos migrate through, and the eagle watches all the activity from his high perch on Lake Superior. 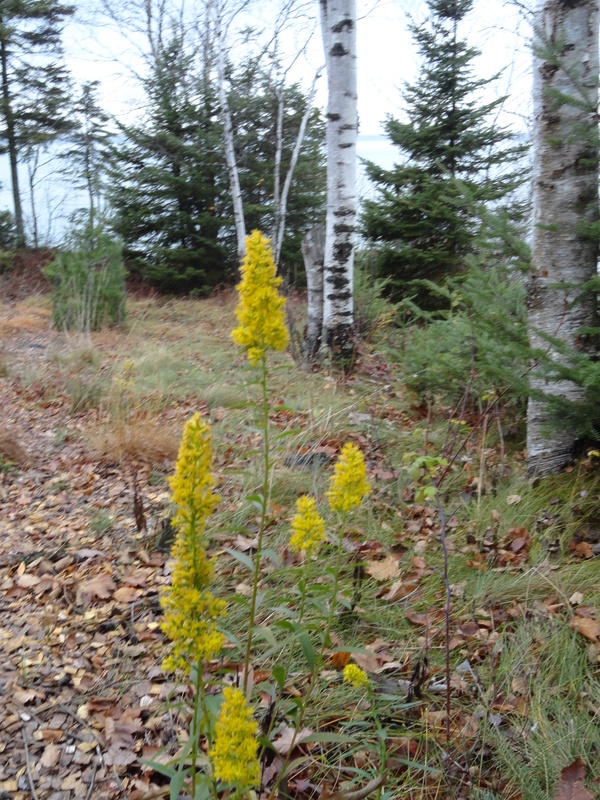 fleabane, hyssop, and a full Rudbeckia, but the best fall plant is the hardy little blue stem. Fog rolls in from the lake, and fog horns from ore boats fill the air. The energetic white-tailed deer are oblivious to what the next weeks will bring as the hunt begins. And I dream of which pollinating plants I should add next year. Should the Soft Drink Industry Help Communities Recycle? Should Coca-Cola and the soft drink industry help communities implement education and recycling? I think Coca-Cola should be working on recycling plastic. Communities without resources are stuck with mounds of plastic trash. In the 1960s the soft drink industry began the switch from refillable bottles to plastic. There was never a plan for how to deal with the waste created, and it was left up to tax payers and local communities to deal all this new trash. Communities without resources are now buried with of trash which is harmful to wildlife and our waterways. I have just returned from 3 weeks of taking public transportation through the countries of Serbia, Bosnia, Croatia and Montenegro. I love scenery and culture, but I also watch trash. Along with the trash being generated, I watch for efforts to recycle plastic and live in a sustainable way. Many streets in these countries are lined with coffee cafes, but never are there take away cups, and paper products everywhere are used to a minimum. However, they don’t conserve on plastic bags. Just one apple generates the need for a plastic bag. I must have said “no bag” over a hundred times, and was the only one shopping with my own bag, and they seemed surprised at my refusal of a small bag for my fruit. Even though every business sweeps up their front space and garbage workers daily pick up garbage they have a serious litter problem. Plastic bags and bottles litter the roads and waterways, and many communities lack the resources to deal with all this plastic. Many of the cities we visited told me they did not recycle. One wealthier tourist town seems to have figured out how to deal with plastic litter. 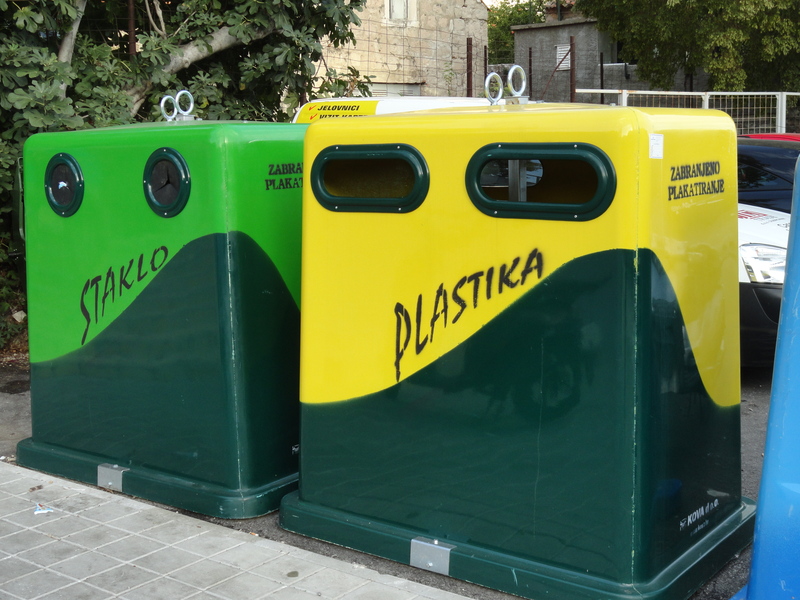 Split, Croatia located on the Adriatic Sea appears to have found a plastic solution. Split is a cruise ship destination and wealthier than most towns we visited. Everywhere individuals were going through trash and picking up plastic litter. Split must reward individuals for plastic bottles collected. There was still some litter, but it sure wasn’t plastic!! Should the profits of the soft drink industry fund education and efforts to protect our earth from plastic waste? Author health4earthPosted on October 22, 2012 January 16, 2013 Categories Uncategorized3 Comments on Should the Soft Drink Industry Help Communities Recycle? leaves out of our streets and storm drains to prevent run off that pollutes our lakes and creeks. Did you know that just five bags of leaves and organic debris from streets and sidewalks can contain one pound of phosphorus? Over time, this can lead to the growth of hundreds of pounds of algae. Get out and sweep your street and clean those storm drains, and never put leaves or grass clippings into the street.